Do you have tutorials for Panwrypter? Please visit our Tutorials page to learn more about how to use Panwrypter based on some example scenarios. You can also access these tutorials from within the App. Where is the help for Panwrypter? 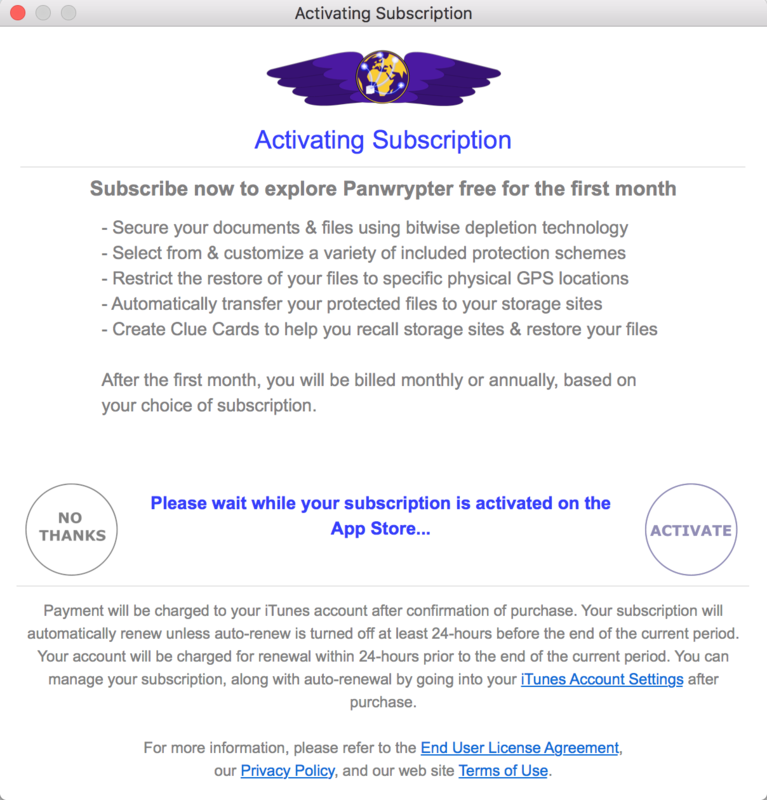 Please visit our Help page for guidance on how to use the features of Panwrypter. You can also access this help from within the App. Why is my subscription purchase taking so long? This may be due to a temporary condition with the app, the network connection or the registration servers. Try exiting then restarting the App. Wait 2-3 minutes to see if you get any notification that registration was successful. If not, the registration didn't complete, so try registering again. The Apple servers may be temporarily unavailable, or undergoing maintenance. Click here to check the status. 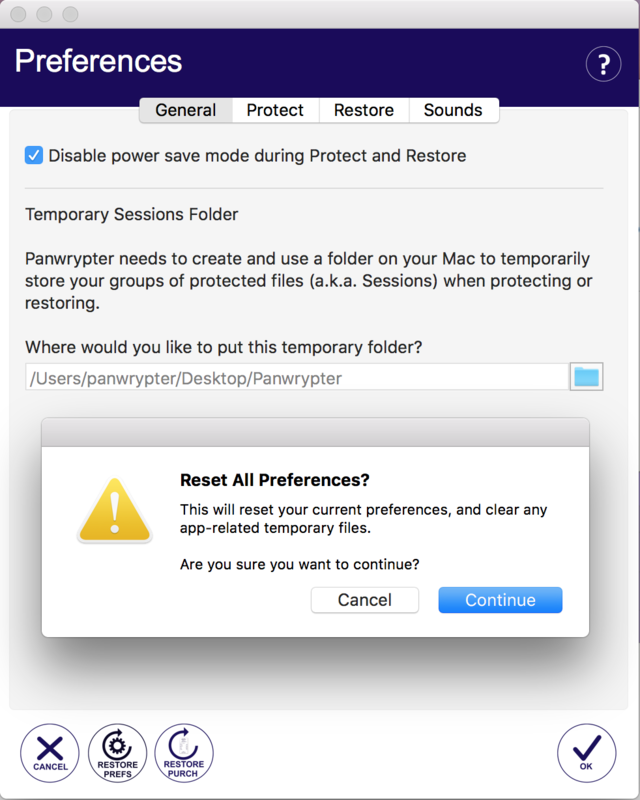 How do I restore my App settings for Panwrypter? Under "Preferences", select the "Restore Prefs" button, then select "Yes". After your preferences have been restored, exit then run the App again. When you restart the App, you will be asked to provide a Temporary Sessions Folder to store your protected files, and optionally your e-mail address.